It's been three months since I've posted. I'm sorry. It's not that I haven't read anything. In fact I've read some excellent stuff, mainly non-fiction. For example, Tony Blair's exceptionally interesting memoirs; Geoffrey Robertson's persuasive and damning indictment of Pope Benedict's refusal to radically confront the huge problem of paedophilia in the Catholic priesthood; Paul Berman's Flight of the Intellectuals, which is a fairly savage critique of currently chic Islamic theologian Tariq Ramadan and his liberal stance in regard to Islam and its place in Western societies; and John Thompson's very interesting survey and analysis of today's US and UK book publishing industry - Merchants of Culture (which I'm reviewing in the international publishing journal LOGOS, out in November). But my review today is of Jonathan Franzen's new novel Freedom. I'd read his first novel The Corrections when it came out in 2001 and went on to win the prestigious National Book Award. I enjoyed it, but can't say I loved it. I found it rather dry and frequently tedious, and most of the characters cold and distant. Technically of course it was brilliant. But Freedom, in my humble opinion, is a far more interesting and accomplished work. Without a shadow of a doubt, this book will become a classic of American literature. Put simply, it's spellbinding. It's absolutely enthralling. It's easily the best American novel I've read in years - up there with the classic Middlesex, and probably better. It's the story of two young people who are attracted to each other in college, and then marry, for better or worse. They have two kids, who, unfortunately but fairly universally, develop personalities of their own. They all grow, develop careers, interact with society and politics. They have wide and varied family networks, and friends supportive and dangerous. 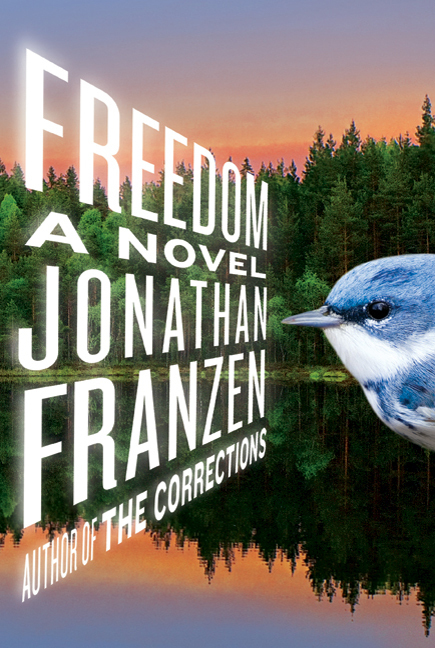 Franzen's genius is in the way he creates full, living, breathing, passionate and thoroughly modern human beings. The ripe, combative richness of modern America is here - the passionate liberal versus conservative politics, the anger of middle America, the educated Eastern elites versus the resentful working class. It's Bush and Cheney's America - 9/11, the invasions of Afghanistan and Iraq, and the coming of Obama. But, in the end, Freedom is not a political book. It's a novel of love and hope - the deep, profound connections between human beings that bind and last, no matter the pain, the wrenching divisions, the awful disappointments. Read this book for the dialogue alone - the arguments, the angry phone calls, the sheer intelligence and emotional intensity of their verbal interactions. It's spellbinding. The writing is magnificent. Witty, alive, ambitious. The ending, which was absolutely right, had me in tears. I could barely find my way to the scotch bottle. Much American literature has always struck me as overripe. Everything is bigger, larger than life, more intense and dramatic than any ordinary reader has ever experienced. The English are subtle, understated. But Freedom, although thoroughly within the American tradition, has a sureness and credibility that resonates. Read this book over the Xmas holiday season. It's 562 pages long, so you need the time get involved in its world. You won't regret it, and you will emerge a far better human being.